Peter McLean was elected as President of the Appraisal Institute of Canada in June 2018. Peter first joined AIC in 1990 and received his AACI in 2001. His involvement with the Appraisal Institute began when, as a Candidate Member, he served as secretary on the Peterborough Lindsay Chapter. Peter was later elected as the Regional Director for the Ontario Association after serving as Chair for three terms. While serving on the Ontario Association Board, he was President for two years. 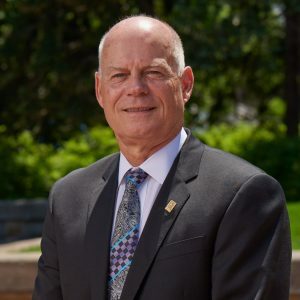 Governance has been important to Peter as he was appointed by the Lieutenant Governor of Ontario to the Peterborough-Lakefield Police Services Board and served as Chair for two years. After his term on the Ontario Association, Peter served as a governor for Fleming College for a six-year term and was board chair for three years. He continues to be involved with the National body of AIC as a Board Examiner and on various other committees. Peter has practiced as a fee appraiser and mentored several Candidate Members who have successfully been granted their designations. Upon graduating from the University of Windsor, he worked as a lender with a major bank before joining the Appraisal Institute of Canada. Peter has offices in Peterborough and Ottawa.